3D Printing started out as a prototyping technology for the automotive industry. Although it has grown into a manufacturing technology for a wide variety of industries, the prototyping application still plays an important role for many automotive industries worldwide. World-famous car manufacturer Hyundai Motor Company, focusses on cars with a better performance and higher safety. By relying on 3D Printing, they can create new products in a fast and cost-effective way, and experiment with designs with almost no design limitations or material waste. But how do they efficiently manage their Additive Manufacturing (AM) production? Hyundai Motor Corporation had to schedule different build jobs, keep an overview of all the build statuses and ensure that the information flows efficiently to all people involved. Before, they used Excel sheets to manage the RP production status, meaning that the information needed to be frequently updated and spread manually. To keep track of the number of parts produced, the savings and other operating data, they manually generated reports. Machine operators also invested significant man hours to manually manage the operating plan for each machine and adjust and communicate the planning as soon as changes occur. This way of working changed as they acquired Materialise Streamics. Materialise Streamics is a production management system that gathers all kinds of information (order info, machine info, part info etc.) and automatically updates the production status in real time. 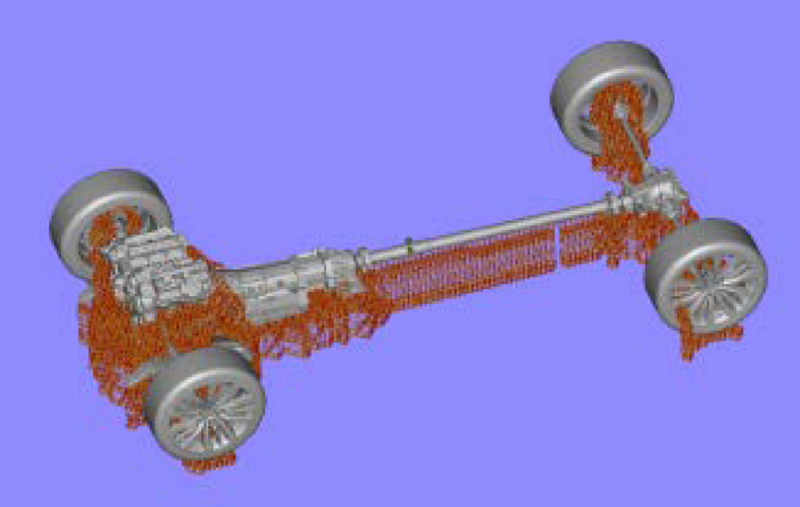 Hyundai Motor Corporation also uses Materialise Streamics to extract customized reports about production, sales, management, and quality. When the production schedule changes, managers and machine operators can easily adapt the planning in real time. The information is no longer spread across a web of mails, excel files, phone calls, data sheets, but stored one central database that connects data preparation, production, post-processing and management. Everyone can view the production planning and status of each machine, and the requestor is automatically informed by the system once a build is completed. Materialise Streamics improves the communication between everyone involved in the creation of the requested parts. For Hyundai Motor Company the transition from manual work to a system that automates the RP management, meant that the man hours were reduced by 77 %. Employees can work more efficiently, the RP management saves time and the customers receive a better service. Hyundai Motor Company didn’t only facilitate their production management, they also saw the benefits of automatic support generation. Before using Materialise e-Stage, they spend much time to generate support structures manually and had to invest more in post-processing to compensate the bad surface quality after support removal. Now the automatic support generation software generates support only where needed, saving material (13%) and reducing data preparation (94%), build (30%) and post-processing time. “Materialise’s automation software enabled us to produce prototypes and manage production more efficiently. We could reduce the manual work of logging in production data and generating support structures, leading to a remarkable reduction of time. 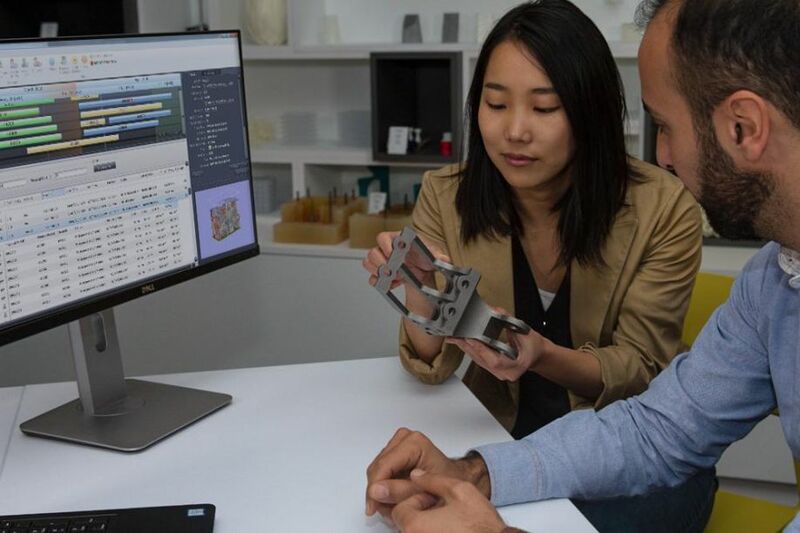 The efficient and optimized support generation with Materialise e-Stage also led to lower material consumption, better part quality and faster support removal. This means we can spend more time on creating an added value for our customers” - On, Han Woo, Senior Research Engineer, Proto vehicle development team, Hyundai Motors.